The attic is an attic space that can be used as a living space. Attic roof should ensure the normal functioning of such a room. When building a roof, a truss structure is usually used, with the step between the rafters of the mansard roof being an important indicator of its reliability. Huge loads caused by the weight of the roof, wind, climatic factors, are perceived by the rafter system. The distance between the roof rafters of the attic type determines how much of the load falls on each element. Only the right choice of distance will ensure the stability of the entire roof. The rafters are called bearing beams, onto which protective, additional and external roofs of the roof are attached. Elements are usually made in the form of durable wooden timber or board with a minimum thickness of 50 mm. Sometimes a log can be used. Metal and reinforced concrete beams are used for especially strong structures. 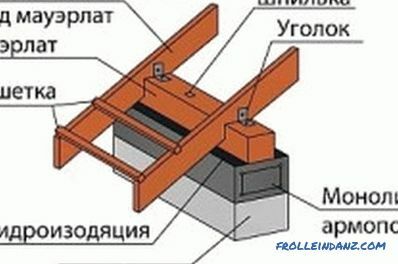 For the roof of the attic, one of the two variants of truss systems (padded or hanging) is used, as well as a combination of both options in one design. The suspended type is characterized by supporting each of the rafters on the wall of the structure. Hanging type involves the linking of elements into a common frame, which is fixed only on the extreme supports. By what type of truss system is used, mansard roofs are conventionally divided into the following types: single-pitch, double-gated, sloping, hipped, hipped, and vaulted. In private construction, a single-slope, dual-slope or sloping roof has the most extensive use. In a single-pitch roof, the rafters rest on walls of different heights, which ensures the inclination (slope) of the roof in one direction. The gable roof has two inclined planes, with each of the rafters at one end resting on the wall, and the other end connected to the other beam. This design forms a triangle, and the angle between the elements determines the slope steepness. The broken roof also has two slopes, but each of them has a kink line, in which the laying angle changes. When installing the roof truss system of the attic, the fastening and installation of the rafters in the form of simple geometric shapes are used. The greatest rigidity (strength) has a triangle alignment, which is used in the construction of a mansard roof. Thus, the most common gable roof includes a series of triangles of rafters, connected by longitudinal lags (girders). Binding rafters in a triangle provides the lower transverse beam (mauerlat). To facilitate the mounting of the outer roof and the redistribution of its weight on the rafters, the grille is made in the form of transverse bars or planks. A broken roof combines two types of roof joints. The lower rafters with the help of the mauerlat and the racks are connected into right-angled triangles, which, in turn, are held together by a longitudinal girder among themselves at the top. At the bottom of the attic rafters based on the wall of the house. The upper ones are connected in a triangle by analogy with the gable construction. Figure 1. Table of selection of the cross-section of the bar for rafters. The lower end of the rafter is fixed on the transverse lag, and the upper ends are joined together through the longitudinal upper girder. The bottom corners of the bonded triangle are connected to each other using a longitudinal bottom girder. The system formed by the hanging trusses is fixed on the lower truss system. To strengthen the upper triangles used additional vertical rack. Thus, the mansard roof is a fracture surface on each side. From the wall begins the slope with a greater steepness, and then it takes on a flatter appearance. The connection of the rafters of the attic with the longitudinal bars (including the beam of the ceiling) is made by cutting the rafters into the beam for a third of its height. Fastening on cross beams is advisable to produce a screw connection. With such fixings, the functions of two different truss systems are separated, and they are calculated as separate systems. When choosing the design of the rafter system, the size of the beam and the number of elements it is important to take into account all the loads acting on the rafter. 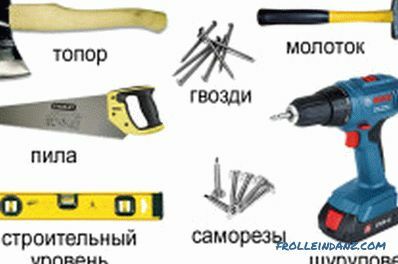 These loads can be divided into permanent and temporary, intermittent or short-term. Under the permanent load, the weight of all the elements of the attic roof should be taken: the truss structure with the grille itself, the external roofing flooring, additional protective and insulating layers, elements of the attic mounted interior. The weight of the outer roof can vary greatly depending on the type and material of the coating. Scheme of rafter length depending on the angle of inclination of the roof. Natural factors should be taken into account as temporary or periodic loads. This is, above all, the weight of snow in winter. The wind has a significant impact, and the direction of this load can be different. For some areas, this factor may be decisive. You can not ignore the possibility of storm water streams. In addition, it is necessary to take into account the weight of people and materials when carrying out repairs on the roof. The geometry of the roof and truss system has a significant impact on the distribution of loads. The main parameters include the length and width of the roof, as well as the slope of the slope. The length of the roof greatly affects the distribution of the load; therefore, with a large length, it is necessary to use reinforcing vertical supports. Increasing the width of the roof leads to an increase in the load on all the rafters of the attic, as their length and the total weight of all elements increase. Broken type is more suitable for wide roofs due to the presence of intermediate vertical pillars and redistribution of loads between different roof systems. Changing the slope of the slope affects the parameters ambiguously. 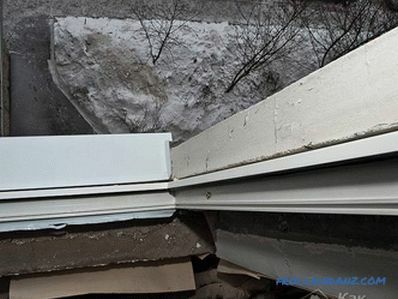 The increase in steepness, on the one hand, reduces the accumulation of snow cover and redistributes the load on the load-bearing walls of the house, on the other hand, the length of the rafters and the windiness of the roof increase, which is dangerous in windy areas. The concentration of loads on the walls can also adversely affect the reliability of the house, because as the load on the rafters decreases, permanent loads on the masonry walls increase. The attachment of the rafters to the power plate. 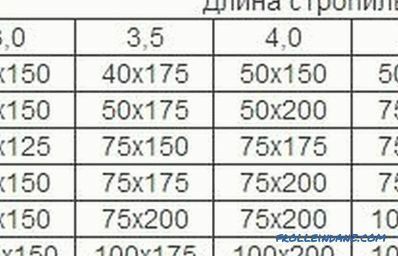 The calculation of the number of rafters and installation parameters is based on the fact that high-quality material has been used in construction. 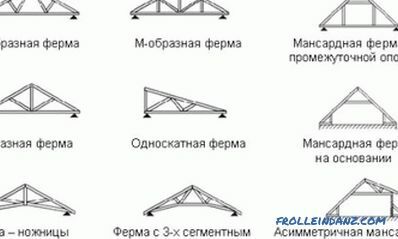 In this regard, you should select the material for the truss system, based on the following conditions. Only high-quality timber with a section of at least 50x100 mm should be used as main rafters. All wooden elements must be well dried during installation (permissible moisture content - not more than 15%). The number of even minor defects on a timber cannot exceed 3 pieces per 1 m. The tree is pre-assembled with an antiseptic. 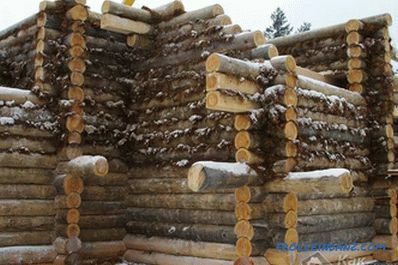 Coniferous wood showed the best performance. 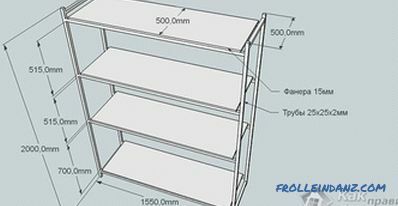 Vertical racks are made of timber with a size of at least 100x100 mm with checking their vertical position with a plumb line. 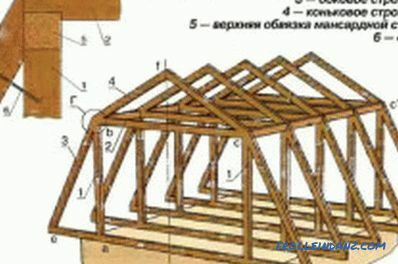 After selecting the construction of the mansard roof (based on the recommendations of experts and in accordance with reference data), the main calculation parameters are the distance between the rafters (rafters step) and their number. Typically, the distance between the rafters is from 0.6 to 1.5 m. The calculations are based on the fact that the optimum load should be 40-60 kg per 1 m of the rafter length, and the maximum allowable deflection of the beam is 1/250 of its length. Splicing tools for rafter legs. The number of rafters on one ramp is calculated after measuring the length of the ramp and choosing the distance between the rafters. The length of the slope is divided by the step size of the rafters, 1 (one) is added to the result. The result is rounded up to the nearest whole number. Calculation of the distance between the rafters, taking into account all factors, can be made by a specialist, but in practice they use reference recommendations. So, for example, for rafters from a board with dimensions 50x180 mm and a slope length of 3 m, the average step is 1.5 m; with a length of 3.5 m - 1.2 m; and with a length of 4 m - 0.9 m.
The distance between the rafters is significantly different for roofs with different coatings. Ceramic tile is one of the heaviest roofing materials. 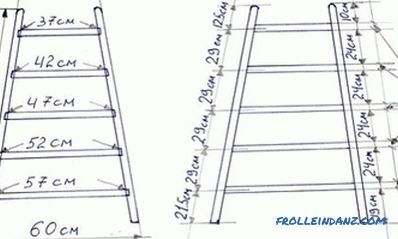 For rafters of timber size 50x150-60x180 mm, the recommended distance between them is 80-130 mm (depending) on ​​the steepness of the slope. At an inclination of 15 °, the pitch is chosen equal to 80 cm. With an increase in the length of the rafter, the pitch is increased within the recommended range. The distance between the rafters for metal-tiled roofs is less than for natural tiles. 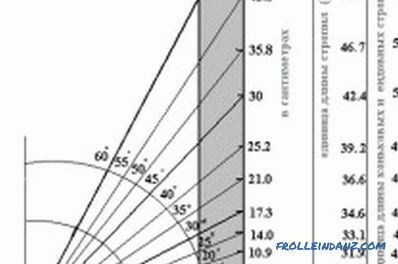 The optimal pitch is 60-95 cm for a 50x150 mm bar. When using a profiled sheeting, the pitch is in the range of 60-90 cm with a sufficient bar cross-section from 50x100 mm to 50x150 mm. The lightest coating is obtained using ondulin. The optimal distance between the rafters with a size of 50x50 mm is 60-80 cm and decreases with the installation of a larger beam. 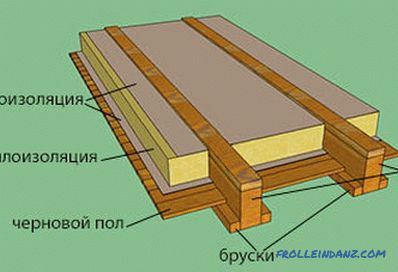 When covering the roof of the attic with slate, a bar is used from 50x100 mm to 50x150 mm. The pitch is set in the range of 60-80 cm. When installing a roof system on the roof roof, it is important to determine the optimal distance between the rafters. The correct choice of this parameter will allow you to calculate the optimal amount of material and ensure the reliability of the entire roof.